If you have followed my suggestion and have Chase Sapphire Reserve in hand, what would you do next? The answer will not be as straight forward as CSR being the top choice, but I will argue that building a healthy dose of Chase Ultimate Rewards point reservoir is essential to any successful MMB game plan, and you need to get your second UR-earning card in before 5/24 rule closes in on you. To that end, the following two cards have distinct merits of their own and warrant consideration: Chase Freedom and Chase Freedom Unlimited. What do they have in common? They both earn Ultimate Rewards points, carry no annual fees, and in conjunction with CSR you already have, see their point value significantly enhanced. The difference between them comes down to earning bonus. Freedom has a quarterly rotation of different categories that earn five points per dollar spent. Restaurants, gas, drug stores, department stores, home improvement stores, et al, are the usual suspects for quarterly bonus. Non bonus purchases earn one point per dollar spent. Freedom is great if you are organized and can keep up with bonus categories because earning five points per dollar on purchases you normally would make offers excellent values. On the other hand, Freedom Unlimited removes the category bonus but all your purchases earn 1.5 UR points per dollar, ideal for people who prefer collecting above normal rate with simplicity. Currently, Chase offers 15K Ultimate Rewards points on both new Freedom and Freedom Unlimited accounts, good for $150 cash back each (but I hope you save the points for better value), for $500 in purchases made in the first three months within account opening. Another option for those who own a business is to apply for Chase Ink Business Preferred card. The card earns 3x on travel, shipping cost, online advertising, and phone/internet/cable services. For a limited time, Chase offers 80K Ultimate Rewards points signing bonus for Chase Ink Business Preferred card, with $5000 purchase requirement for the first three months and an annual fee of $95. If you apply through the link I provided, you will earn the highest signup bonus Chase has ever offered to this card and I will receive a referral bonus and I do appreciate that. For those who consider Chase Ink Business Preferred card, because the card overlaps somewhat with CSR’s benefits (both open the door for transferring Ultimate Rewards points from all your Chase UR-earning accounts to travel partners, and both earn 3 points per dollar spent on travel), if annual fee is your concern, you may consider after first year just keeping Business Preferred card and converting CSR to fee-free Freedom Unlimited if you don’t have one already or Freedom. 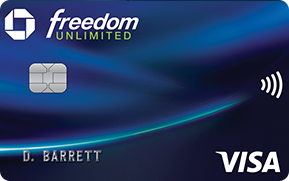 Personally, I have two Freedom cards and find it helpful when $1500 quarterly bonus spending limit might be exceeded. 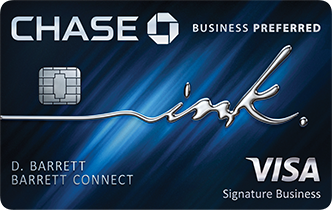 Or convert Ink Business Preferred card into Chase Ink Cash card with no annual fee. But I wouldn’t start with Chase Ink Cash. With so many credit cards on the market with competing merits, it is understandably difficult, if not impossible, for MMB beginners to sort through a wealth of information and make the first move. Let me make the job easy for you. If you are a beginner aspiring to travel free, with excellent credit but sparse credit applications recently (I will not repeat myself in MMB Basics), you should apply for Chase Sapphire Reserve first! Sequence. Let me be clear on your path forward: once you start the MMB game, you will likely find yourself applying for multiple credit cards in the months and years to come. Chase is known to deny applicants who have opened five or more credits at any bank in the past 24 months (aka “5/24 rule”) for all its Ultimate Rewards points-earning credit cards, including CSR. If you plan to include a UR earning card in your portfolio, you need to apply for it first before others. Point transfer. UR points can be used to redeem for gift cards or even statement credits, often at one cent per point ratio. What makes UR stand out in value is to transfer UR points to its vast network of travel partners in airlines and hotels. You will need ONE “premium” UR card (read: card with an annual fee) in order to gain access to transfer option. CSR fits the bill. High fixed point value in travel. In addition to point transfer, CSR holders have the option to redeem UR points towards travel when booked at Chase’s web site at a fixed value of 1.5 cents per point, a very competitive formula. Bonus earning potential. Usually credit cards earn one point per dollar spent. With CSR, you will earn 3x on popular categories such as travel and dining. Unlike other cards that narrowly define travel, CSR considers travel expense anywhere from direct airline, hotel, rental car, or cruise purchases to travel agencies and parking! Generous travel credit. CSR refunds card holders $300 in the form of statement credits for, again, “travel” purchases each year. The credit effectively reduces the annual fee of $450 to $150. Global Entry fee. CSR covers the cost of $100 Global Entry fee, renewable every five years. If you take advantage of this offer, your first year annual fee comes down to $50. Airport lounge access. CSR card holders gain Priority Pass Select membership. With more than 1000 lounges in most major airports around the world, Priority Pass Select offers a relaxed travel experience at airports particularly when one travels on economy. 50K signup bonus. When spent on travel, the signup bonus is worth $750, more than enough to offset the annual fee even without any other card benefits. Conversion to other UR cards. In the worst case scenario, if you are not happy with CSR, you may choose to downgrade it to Chase Freedom, a no-fee card that’s great for earning UR points, before your card anniversary is up. Chase currently offers 50K signup bonus for new Sapphire Reserve account, when you make $4000 in purchases within three months of account opening. You don’t have to follow my link, but if you apply through the link I provided, you will be eligible for the same great bonus offer and I will earn a referral incentive from Chase, too, and I really appreciate that. Practicing what I am preaching, I applied and was approved for CSR in August of 2016, within days of its rollout. Recently, second annual fee was billed to my account and I easily convinced myself this is a keeper for me.